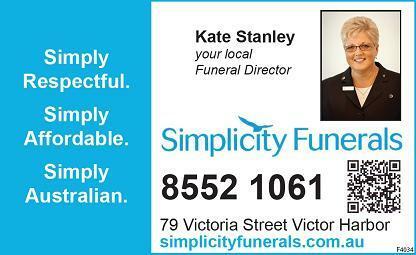 For more than 30 years Simplicity Funerals has been giving Australian families a simple, practical, affordable yet respectful alternative to the services offered by other funeral providers. At Simplicity Funerals our funeral directors provide expert care and support to all families no matter their race, religion, culture, financial situation or lifestyle. 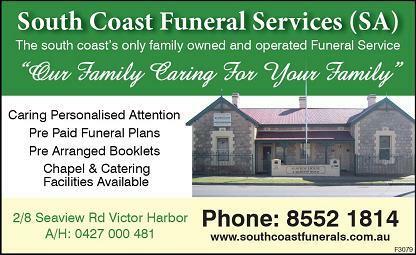 From Victor Harbor to Goolwa to Yankalilla, and all stops in between, we are here to assist you with all your funeral needs. We are available any time and any day. Just give us a call and we will make arrangements to be there – usually within the hour. 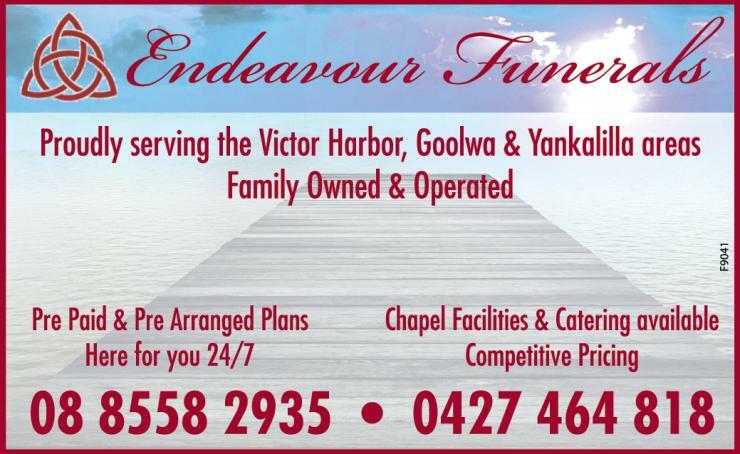 Here at Endeavour Funerals, we are committed to providing you with high quality service, and customer satisfaction is of the utmost importance to us. We will do everything we can to meet your expectations.